The NA LCS returns with the start of the 2016 Summer split! 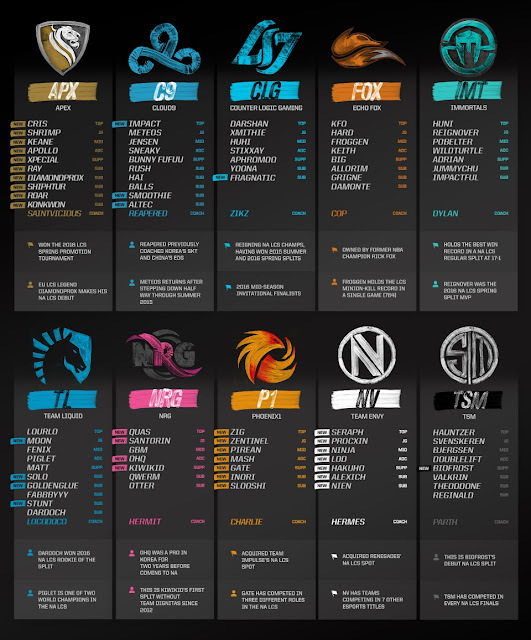 Who will rise to the top this split? 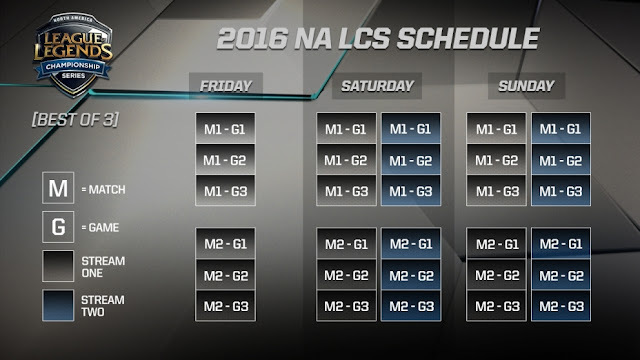 Also be sure to review the LCS format changes for Summer Split 2016! - NA LCS is now on a three day BEST OF THREE series for each game with multiple games played at the same time each day (with the exception of Friday, which only has one stream).